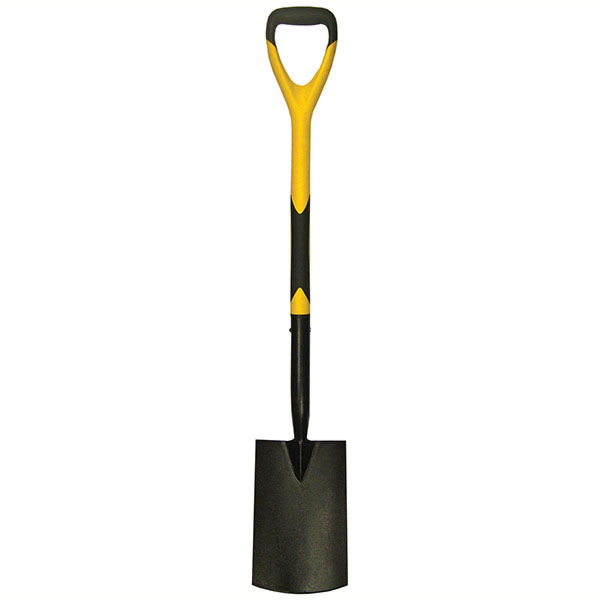 A digging spade designed and manufactured to ensure ease of use with maximum efficiency, whilst satisfying the increasing demands of both professional and home gardeners. This heavy-duty tool is fitted with a carbon steel blade with an extended socket for extra strength. The robust steel shaft has a weatherproof plastic coating, making the shaft stronger than traditional timber and resistant to moisture. The shaft also has the benefit of an agronomical angled handle and is fitted with soft feel grips for added comfort. Fitted with treaded easy dig blades. Features: High quality carbon steel construction. Treaded easy dig blades. Extended socket for extra strength. Virtually unbreakable steel soft feel shaft. Head Size: 280 x 180mm (11.1/2 x 7in).